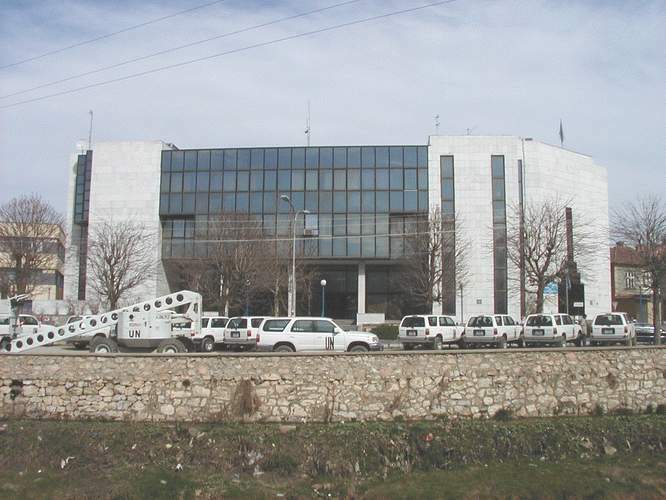 United Nations Headquarters, Prizren, Kosovo. Cdr Matti Vainionpaa, Finnish Navy; Andy; and LTC Anders Schmidt, Danish Army. 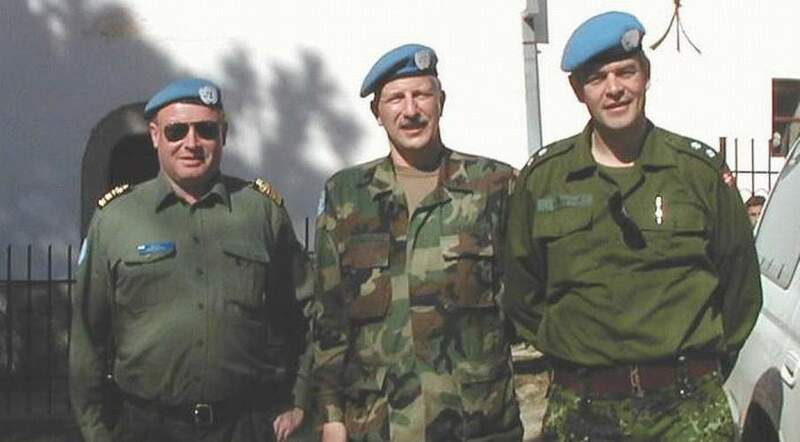 Cdr Vainionpaa is the Team Leader for the Military Liaison Team in MNB(S), Pristina, Kosovo.